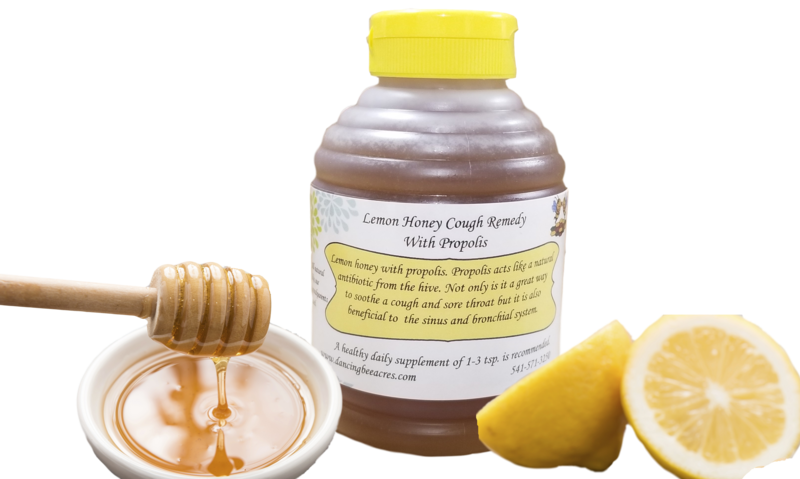 Our Lemon Honey Cough Remedy with Propolis helps to soothe a sore throat and quiet a cough while being very helpful for the sinus and bronchial system. 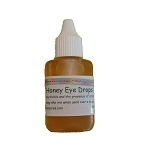 Propolis acts like a natural antibiotic from the hive. We all know drinking tea or warm lemon water mixed with honey is a time-honored way to soothe a sore throat. In one study, by the Mayo Clinic, children age 2 and older with upper respiratory tract infections were given up to 2 teaspoons of honey at bedtime. The honey seemed to reduce nighttime coughing and improve sleep. In fact, in the study, honey appeared to be as effective as a common cough suppressant ingredient, dextromethorphan, in typical over-the-counter doses. Since honey is low-cost and widely available, it might be worth a try. 1 lb. jar.